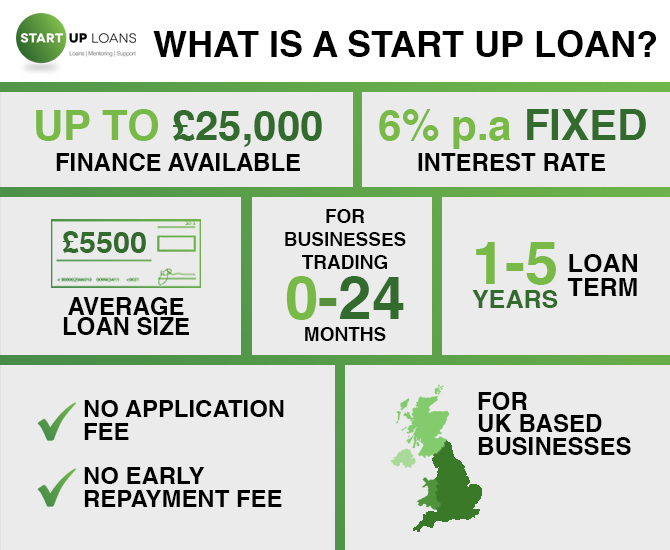 Our friends at The Start Up Loans Company just sent this handy new infographic which we wanted to share with you. Start Up Loans are already helping many of our customers and this image provides key details at a glance. Start Up Loans are one of many funding options that FUNDING XCHANGE gives you access to through one standard application that takes no more than ten minutes to complete. The Start Up Loans Company is a UK-wide, government backed scheme, which offers a repayable loan to individuals over the age of 18 who have a viable business idea but no access to finance. The scheme funds businesses in every sector. As well as financial backing all loan recipients are given access to a mentor, free training events and exclusive business offers. FUNDING XCHANGE are part of a network of official Start Up Loans referral partners across the UK who signpost people to the scheme. Click here for more information on Start Up Loans or to apply.